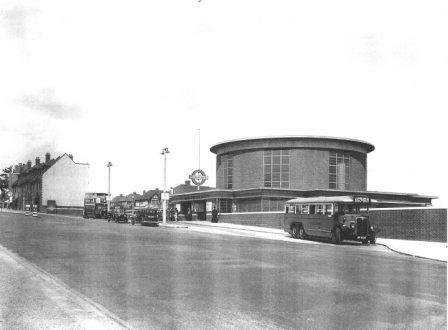 During the war my friend Betty Barke and I used to play in the car park to the left of the station. We used to swing on the gate at the entrance. I remember the notice that read 'Fee 6d'. The feeling of intense happiness I used to get as the tube emerged from the tunnel north of Bounds Green, knowing I would be soon at Arnos Grove and then a 'half to the Standard please' on the 34 or 251 bus and on to the Cheek family home in Brunswick Crescent. I think you may be mistaken regarding the bombing of Arnos Grove station. You may be thinking of Bounds Green tube station as that was hit. Apparently a bomb landed and went down the escalator and killed many people who were on the platform at the time. I remember my parents telling me of this tragedy.